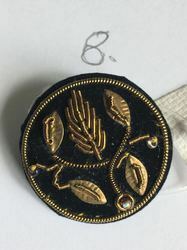 Prominent & Leading Manufacturer from Ghaziabad, we offer embroidered blouse, jewel fancy embroidery work, 3d zari embroidery design work, pearl stone embroidery work, hand embroidery and fashion badges. 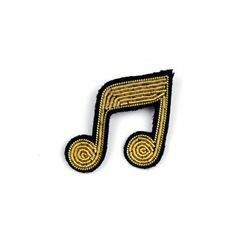 Backed by a team of diligent and adroit professionals, our organization is highly devoted towards offering the best Jewel Embroidery Work. Offered service is widely demanded by our clients owing to its attractive design, timely execution and flawlessness features. 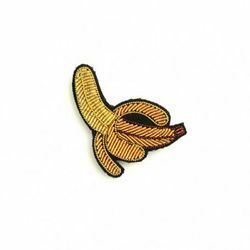 This service is carried out by our highly experienced professionals using the latest embroidery techniques. Our professionals check all the quality parameters related to this service and execute it in an excellent manner. Further, the provided service can be availed by our precious clients at budget-friendly prices. 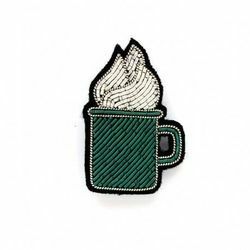 In our extensive 3D embroidery design range, we are highly engaged to provide a quality approved range of 3D Zari Embroidery Design. 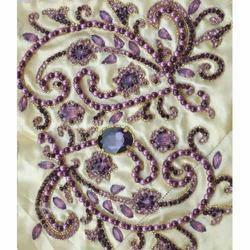 The provided embroidery is beautifully designed using optimum grade zari yarns and modern machines. This flower is available in various beautiful colors as per the requirements of our valuable clients. Moreover, before being supplied to our clients, the offered flower is strictly checked by our skilled quality experts against different quality parameters. 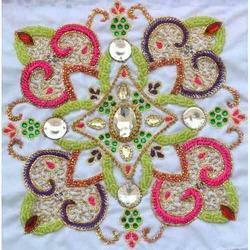 With the aid of our experienced team of craftsmen and designers, we have been able to provide premium quality Pearl Embroidery Work. 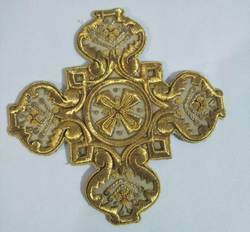 This embroidery work is rendered by our skilled and experienced team of craftsmen who make use of the best quality pearl and other allied material to render this job work. 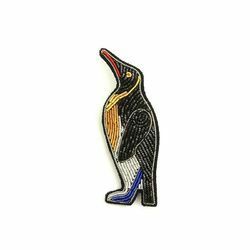 Our services are widely demanded by various garment and textile industries to craft enthralling designs on a variety of dresses to make them more attractive and elegant. Besides, our esteemed clients broadly appreciate this job work for its excellent finish and affordable price. We are designers & manufactures for indian ethenic dresses , caftan & western dresses. 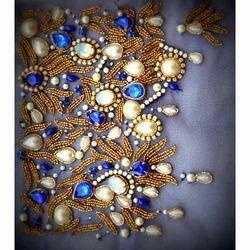 & We offer hand embroidery services & job work.Hand embroideries on indian dresses ,western dresses ,Kaftans or Jalebas . 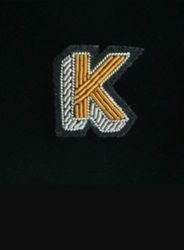 We also make hand embroidery logo & monogram . We also manufacture all type of Laces. 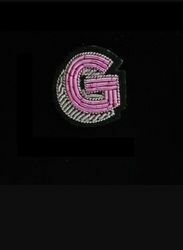 We also manufacture embroidered vests, jackets, mobile purses, shoes uppers & Handicraft items. 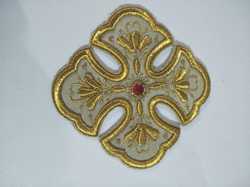 We supply brocade n keemkhawb fabric too.. 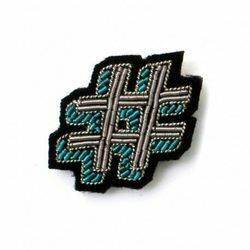 Leading Manufacturer of Designer Patch, Embroidery Patch Lace, Sequence Patch Lace, Fancy Patch Lace, Fancy Patch and Patch Work from India. 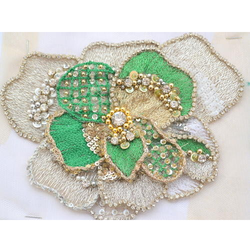 We are offering Nakshi Beaded Embroidery Work. 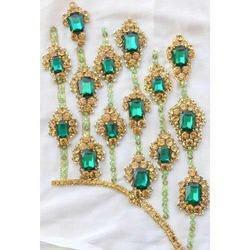 We are offering Floral Embroidery Jaal Work. 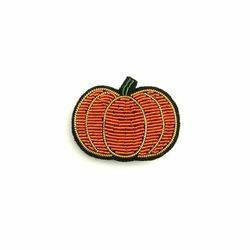 Looking for Hand Embroidery ?